Before you, as a landlord, decide not to allow dogs to live in your rental property, consider the positives. Pet-friendly properties rent faster, go for above-market rates, and tenants with pets tend to stay longer, be more responsible, and are more likely to renew the lease. If you have a property you’d like to rent out, it’s within your rights to decide not to allow pets. Landlords may have their reasons for deciding against pets — including fear of property damage, allergies, and more. In that case, experts advise you to include this clause in the lease, and you’re free to enforce this policy. If any of your tenants sneak a pet in after that, theyâ€™d be in violation of their agreement, which is grounds for eviction. The benefits of allowing dogs (and pets in general), however, outweigh the risks. Provided there’s a clear pet policy in place, and with added protection against potential damage, you can enjoy a profitable and respectful relationship with your tenants (and their furry companions). Expanding the applicant pool. Recent surveys show that 68% percent of all U.S. households have pets (with dogs dominating at 48%, and cats clocking in at 38%). By allowing dogs, you’ll get more people interested in your rental property. Getting better tenants. Dog owners tend to be more responsible, pay on time, and treat your property as a home instead of a temporary living space. They might also be grateful for finding a rental that allows dogs, whom they treat as full-fledged family members. Pet-related spending by owners rose from $41.2 billion in 2007 to $69.4 in 2017 — a clear indication of how much Americans love their pets. Charging more in rent and fees. This could include pet deposits, non-refundable pet fees, or pet rent. Reducing tenant turnover and vacancy. Dog owners tend to stick around longer and are likely to renew their lease. Some prefer not to stress their furry friends unnecessarily while others don’t want to go through the hassle of finding another dog-friendly rental. Types of dogs allowed. Unfortunately, the risk of damage increases with certain breeds although the most common breeds people discriminate against often don’t deserve their bad rep. This includes pit bulls, rottweilers, Dobermans, and German shepherds. Still, if the dog is old or sick (and therefore incontinent, for example), the potential for accidents increases. Same goes for reducing noise, allergens, and threats to personal safety in the form of aggressive behavior, biting, etc. Size limit (20 pounds or less, for example). It’s not common practice but specifying a size limit could limit the amount of potential damage. Number of pets. In most cases, it shouldn’t be an issue because people rarely have more than 2-3 pets. Applicable fees (see section below). Rules for tenants. You can customize your rental lease by including clauses that could specify certain behaviors, such as picking up after the dog, where to deposit the waste, or whether the tenant must pay additional fees if he or she acquires a new pet after moving in, etc. What Fees Can You Charge? While some states donâ€™t have laws specifying a maximum amount for pet fees and pet deposits, some do mention that deposits are recoverable while fees aren’t required by law to be returnable. Pet fees are considered non-refundable payments. Pet deposit. A refundable fee paid at move-in meant to cover potential damages caused by the pet. Pet rent. Usually, it’s tacked onto the total rent price and doesn’t exceed $100 ($20 is common). Itâ€™s less common than pet deposit. Pet fee. Another upfront cost for the tenant, but non-refundable, the pet fee typically covers added wear and tear or additional cleaning usually required after a pet has occupied a home. For landlords still on the fence about renting to tenants with pets, you can also request proof of pet liability insurance. While some renterâ€™s insurance policies also cover dog bites or other pet-related injuries that may happen on the premises, most do not. In such instances, requiring a separate pet liability policy can protect you from being held liable for the behavior of a tenantâ€™s pet. Gathering as much information as possible is your best bet. So, you may want to ask about the dog’s size, breed, age, temperament, training, friendliness toward other animals and children, quirks, barking habits, and anything else that might concern you. Overall, a good relationship with your tenants and their dogs comes down to establishing a clear pet policy and including it in your lease agreement. 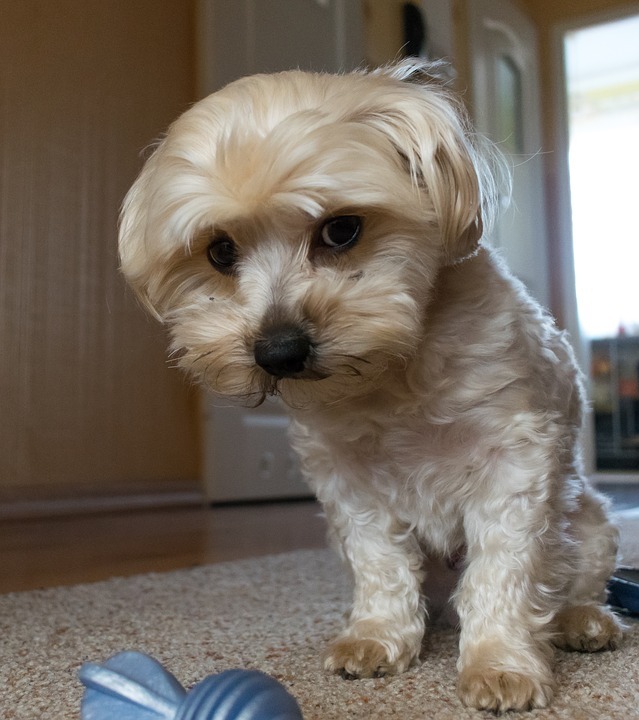 Determining what constitutes acceptable behavior for tenants’ pets will help protect yourÂ real estate investment by minimizing risks, safeguarding against property damage, and keeping your tenants — including the furry, four-legged kind — happy. Joe Gerrity is the Managing Broker and principal owner of Korman Gerrity Real Estate, a boutique real estate agency representing buyers and sellers in the greater New Orleans area.